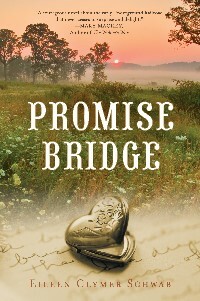 Promise Bridge is the inspiring story of an unlikely friendship between Hannelore Blessing, a plantation mistress and a slave girl named Livie. As their bond grows stronger, the women are launched on a harrowing journey of awakening filled with shared risks and nurtured promises. Amid whispers of the Underground Railroad and the rising tension preceding the Civil War, these remarkable women discover their ability to trust, love, and ultimately take action. Aided by Colt, a devoted suitor hoping to win her heart, Hannah comes to understand that true friendship means letting go so Livie can be free to find a life and destiny all her own. However, a vicious slave catcher stalks the women - and his unseemly motives and relentless pursuit threaten all that Hannah holds dear. 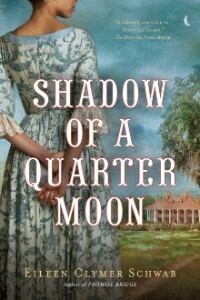 Shadow of a Quarter Moon is the suspenseful and moving story of Jacy Lane, the daughter of a wealthy North Carolina horse breeder in 1839. After Jacy's father is killed in a suspicious accident, Claudia (the woman Jacy knows as Mother) reveals a secret that shatters her world. Jacy is not the well-bred woman she believes herself to be, but rather she is the light-skinned offspring of a dalliance between her father and a slave. The shocking revelation destroys Jacy's sense of who she is and where she belongs in the world. If her secret is revealed, she will be cast out of "white" society. But as she tentatively gets to know her true mother and brother, as well as a protective slave named Rafe, Jacy begins to see life in the South with fresh eyes. To secure their wealth, Claudia tries to manipulate Jacy into marriage with a well-positioned but lecherous suitor. Claudia threatens to sell Jacy's newfound family, forcing her to make a decision that will take her on a treacherous and life-altering journey.